Description: New listing. 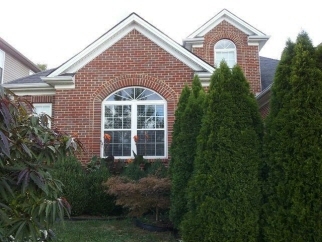 This executive home is in the hottest area of masterson station and may not last long. Beautifully landscaped, this spacious 4000+ sq.Ft. Home offers 4/5 bedrooms, 3.5 baths and backs up to masterson station horse park and it's riders. Great floor plan layout. First has master w/jacuzzi, double tray and vaulted ceilings, crown molding, formal dining, 6 ft windows, jack and jill style bedrooms, fireplace, walk-in closets and recessed lighting. Lots of hardwood and laundry on first floor too. Large bedroom upstairs along with attic storage. Finished walkout basement includes: sharp rec room with pool table, bar, 2nd fireplace, theater seats, recessed lighting and removable carpet tiles. Basement also has exercise room, office room, storage/workshop area and 3rd full bath. Vivint security system in place. Boarding and horse facilities available at horse park. Data believed correct but not guaranteed. Buyer to verify data prior to offer. Agents read agent remarks.